Raining? A little cold outside? While there are plenty of awesome things to do in Lake George when it rains, choosing a hotel with an indoor pool is always a great way to guarantee you and your family will have a great trip, no matter the weather! 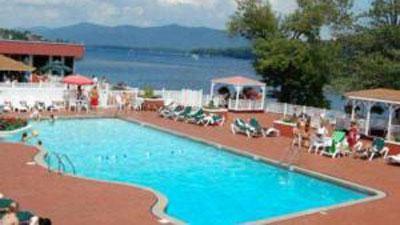 Lake George has multiple hotels, motels, resorts and other accommodations with indoor pools. 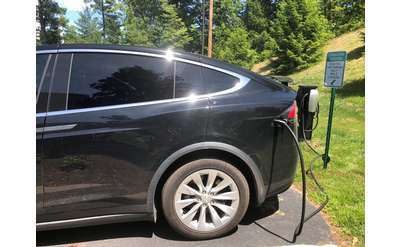 Whether you want to stay in the heart of the Village or farther up Route 9N towards Bolton Landing, you'll find a number of great places to stay. Some have both indoor and outdoor pools! Browse the hotels below to find the perfect place for you to stay. 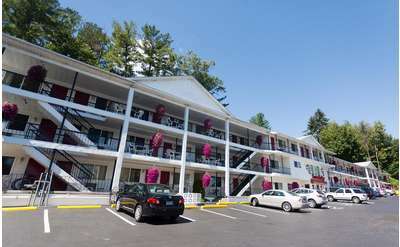 Centrally located between Lake George Village and Glens Falls, within walking distance from Six Flags Great Escape and just a mile from the outlets...The Country Inn and Suites is just the place to begin your Lake George vacation! 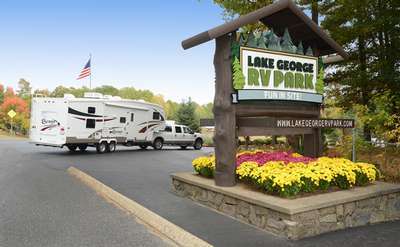 Ready for a fun-filled stay in the Lake George area you'll never forget? Roaring Brook Ranch is an all-inclusive family resort and conference center in Lake George that features spacious rooms, pools, tennis courts, horseback riding, and a wide range of modern amenities. Ready to retreat from the ordinary, everyday world to beautiful Lake George? 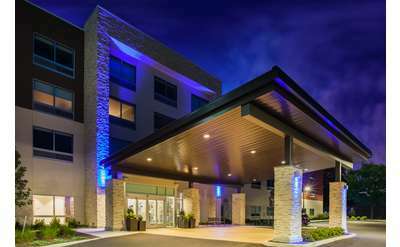 At Hampton Inn & Suites Lake George, you'll enjoy the comforts and amenities that you have come to expect including Hilton Rewards, all in a special, picturesque setting. 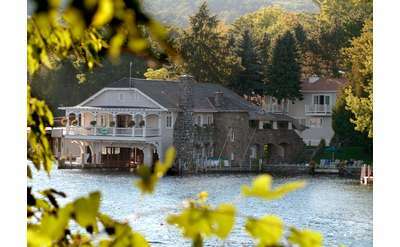 The magnificent Sagamore on Lake George has been extending hospitality to visitors to Bolton Landing for over one hundred years. The Historic Hotel and the elegant Adirondack Lodges are exquisitely decorated and well appointed. Our dedication to quality and comfort make all the difference when you stay at our Lake George motel. Enjoy luxuries such as bubbling Jacuzzis and a sauna, in addition to great service and recreational facilities. 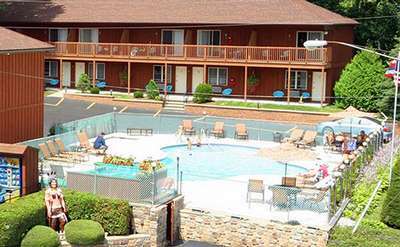 The Designed to Dream Sleep Inn & Suites located in Queensbury is within three miles of Six Flags, outlet shopping, mini-golf and go-carts, drive-in movies and more! 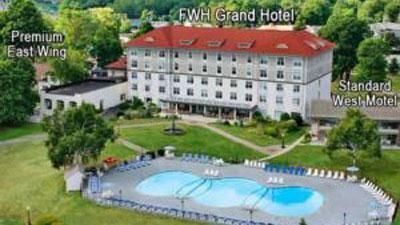 Only a ten minute drive to Lake George Village and twenty minutes to Saratoga! 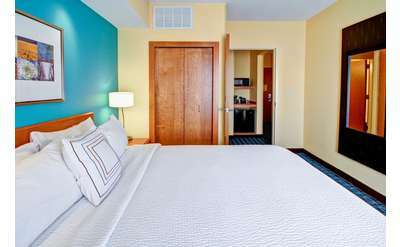 You can expect a high level of quality and comfort at an extremely cost-effective price when you stay at The Econo Lodge Lake George Downtown. 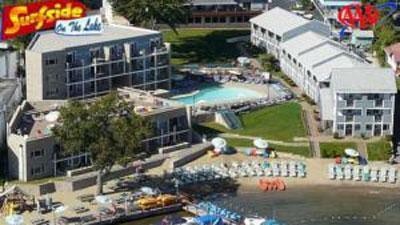 Make the most of your stay in Lake George with top-notch amenities and a close proximity to the village. 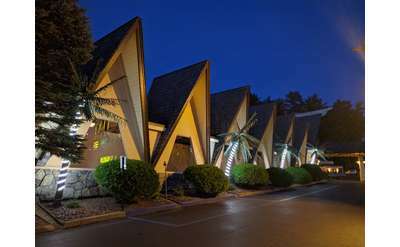 The Tiki Resort located in the foothills of the Adirondack mountains features luxurious accommodations and Polynesian shows in season. Our property offers an indoor and outdoor pool, a breakfast cafe, a fitness room, and meeting & banquet facilities. 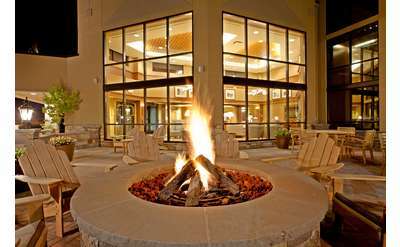 Fireplace suites, newly appointed guest rooms, outdoor and heated indoor pool, Jacuzzi, & manicured grounds, all create an atmosphere exuding warmth and quality. 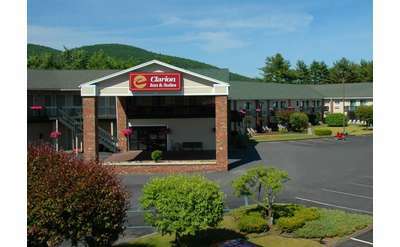 Attention all foodies, adventure seekers, amusement park lovers and suitors of the ultimate relaxation destination...Clarion Inn & Suites, Lake George has exactly what your looking for! Our door is steps away from anything you could possibly want. 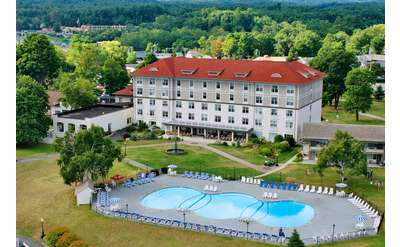 This beautiful Adirondack resort is ideally located in the village of Lake George and offers families a great alternative to larger chain hotels. 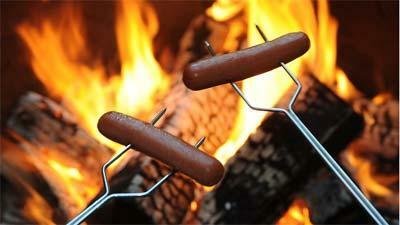 There are indoor and outdoor pools, a game room, a playground and much more for your family to enjoy. 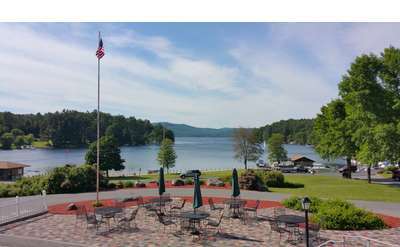 Located in Weavertown, NY (near Lake George and the Adirondacks), Gore Mountain Lodging offers vacation rentals at affordable prices with beautiful views. Offering swimming pool, free breakfast, fitness center, free internet, playground, handicap accessible, game room, and more! We designed a hotel that meets your needs for pleasure and productivity, while offering a host of benefits and comforts other hotels charge extra for! 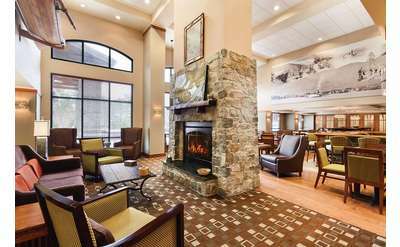 The Wingate by Wyndham Lake George is Built for Business ... Built for Families.